Back in 2011, we started couponing. At first it was sporadic. Then I started studying. I watched Extreme Couponing, I studied all the big coupon blogs. I took notes. 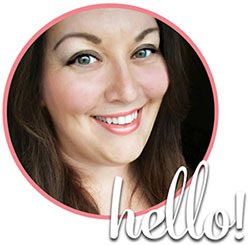 I spent hours clipping, organizing, creating lists of elaborate transactions, shopping. We saved a boatload of money. In fact, coupons saved us from certain financial doom. While we don’t coupon as vigilantly anymore (mostly due to dietary restrictions) we do use coupons whenever possible. When you’re couponing with specific dietary needs, sometimes it can be tricky. It seems like all the good coupons are for things like sugary breakfast cereals and boxed pasta dinners. Unfortunately since being diagnosed with type 2 diabetes and PCOS I have to watch my intake of carbohydrates and eat healthier. Instead of stocking up on stuff I should not be eating, we try to use coupons on healthy foods whenever possible, as well as using them on household products, because at the very least, we can save in that area! A lot of people have asked me through the years where to find coupons. Everyone knows they come in the Sunday paper, but there are MANY more places (sometimes they are even BETTER than the Sunday paper) to find coupons. I thought I would list out a few of my favorites and a couple lesser-known options. This is a site that offers a wide variety of printable coupons. It’s a legitimate and well-respected site, so you never have to worry about whether coupons found here are fraudulent. You have to install their coupon printer, but it takes just seconds, and there’s no harmful malware involved. SmartSource is a name you might recognize. They put out one of the two major coupon inserts in your Sunday newspaper. They have the same coupons (and often more) online as well. This is another reputable place to print coupons and you won’t have any trouble using these at stores. This is likely another familiar name. RedPlum is the other major coupon insert provider. Again like SmartSource, they have a slew of online coupons ready for you to print. You’ll find a variety of products featured on their site, and the coupons are totally legit. I find that Retail Me Not can be hit or miss. Because anyone can add coupon codes to this site, you will come across some duds, BUT it is still worthwhile to check to see if there’s any viable discount codes before making any purchase online. Look for codes with a high rating, and ones that are not expired. Most major retailers are listed on this site as well, so there’s a good chance you’ll find a discount for your favorite stores. The nice thing about savings apps like Ibotta is that they are actually rebates rather than coupons, so you can use them with all your regular coupons too. You just upload an image of your receipt showing your purchase and VOILA! They credit your account based on the pre-determined value of that rebate. Oh, and you get credit for your family and friends signing up too! Target has both manufacturer and store coupons on their site that are printable. As with most other coupon sites, you can usually print two per computer but watch for restrictions printed on the coupons-some will allow you to only use one per transaction. Scour the websites of your favorite products. Chances are they (or their parent company) offers coupons on their website! Many have printable ones, or a form you can fill out to request coupons by mail. You can also usually get coupons by joining their mailing lists. TIP: If you hate giving out your email to companies for mailing lists, create a free email account just for the purpose of couponing. This way you will have a whole inbox full of savings without creating chaos of your personal email. Subscribers often receive higher value, exclusive coupons that non-subscribers do not have access to. Pay attention to what newsletters you’re signing up for, and consider starting a separate email account just for this purpose. Facebook is a huge resource for coupons. Many companies have a tab where you can print coupons directly from their Facebook page and some of them are exclusively available to their Facebook followers. 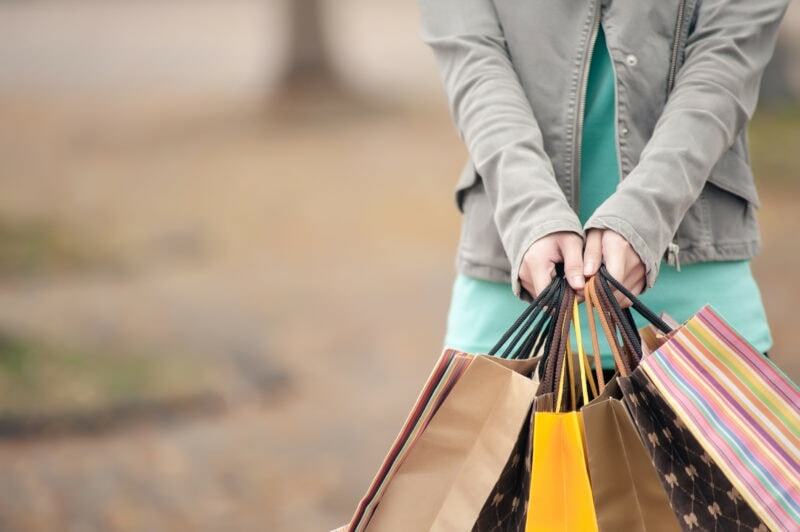 It literally pays to “like” your favorite brands on Facebook! This is another site that allows you to print manufacturer coupons. It’s a legit site so you won’t run into any problems redeeming these coupons and you’ll find savings for tons of your favorite products. 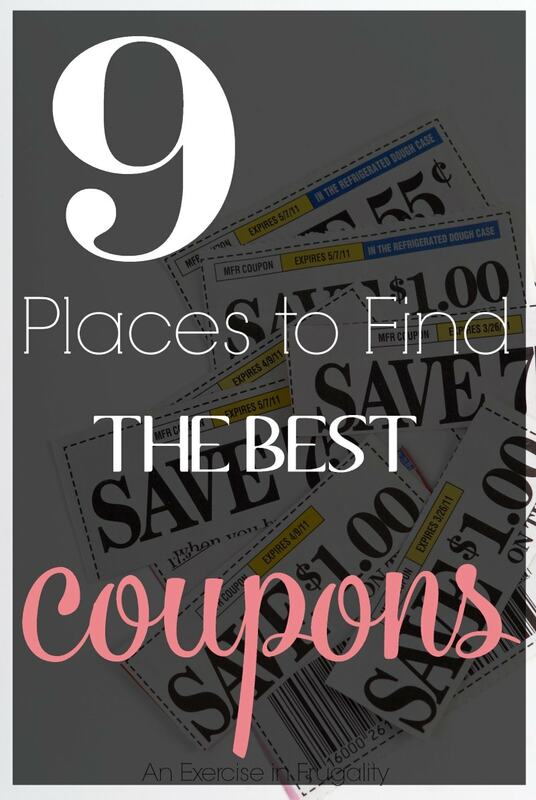 These are my favorite places to find coupons, but there are many more places than these. You can really find coupons almost anywhere, even for healthier food options. Stores like Whole Foods have their own printable coupon pages, so if you have a favorite natural food store, be sure to scour their website to see if they have a printable coupon tab. Where’s your favorite place to find coupons? I started couponing in 2011 as well. Not out necessity but because I watched Extreme Couponing on TLC and was amazed at what could be done. I do still primarily use coupons for all my grocery shopping. I think your list is great and I believe savings apps like Ibotta are just icing on the cake, so not only am I saving in the store, I’m getting paid by those apps as well! I set up a savings account just to track all my cash back throughout the year and I put all that money away and at the end of the year I can usually make a car payment from that account! In addition to Ibotta my favorites are: Receipt Hog, Receipt Pal, Saving Star, MobiSave and Checkout 51.